The Kayak Storage Wall Hook Set is an easy and affordable way to get your kayak up off the floor and out of harms way. 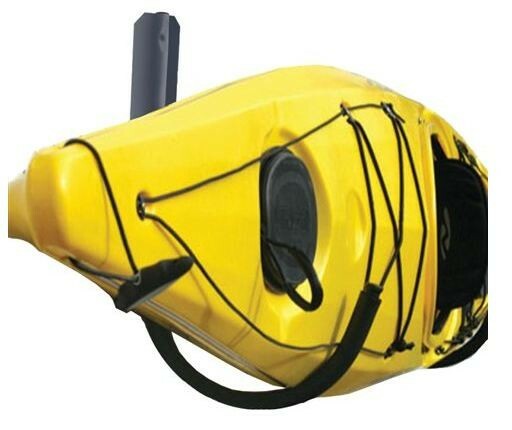 With it's 200lb capacity you can rest assured your kayak or canoe will be safely stored. Thick foam covers the storage hooks to gently cradle your boat and heavy duty steel construction will provide years of dependable service. Each Hook is approximately 24" x 15" x 8". 5lbs weight.